I had hoped to have some good or fun news to share this week, but unfortunately I haven’t. This was another hard week. Monday we lost Snickers. I spent the whole day last week on sunday with her as we knew we probably would put her down on monday. I did gave a her a bite of pudding which she normaly isn’t allowed to eat as she was dying anyway. She was just doing so bad and we were pretty sure her tumor would come back and she just wasn’t healthy enough for another surgery or even had enough energy to eat meds. She didn’t even want to drink or eat anything. Or maybe she couldn’t, we’re not sure what was wrong with her. We think it was a combination of old age, the loneliness, the tumor and maybe something else. She was doing so bad she could only crawl forward instead of walking. And when trying to eat she could only scrape her teeth past the surface of what she was trying to eat. It was so hard to see her like that. So monday we made the difficult decision to put her to sleep. I took her to the vet and hold her while the vet gave her the syringe. I did make a point to thank them as they are an amazing vet and did so much for our rats. We talked a bit and I cried a lot while Snickers slowly passed away while I was holding her. I didn’t feel like writing a whole post about her like I did with Smarties. I feel so sad and it’s so hard to not have any rats around anymore and I just couldn’t manage to write about it yet. When I got home monday from the vet I removed all the hammocks and pieces of cloths from the cage, just so it wouldn’t look so normal anymore. I couldn’t stand to see that empty cage looking normal without any of our rats in it. Tuesday I cleaned everything and put everything away in boxes for if we ever want rats later. The stuff that was bad I threw away. The living room looks so empty, too empty, without the cage. And every time I hear a sound I think it’s the rats and then realize that’s impossible as we don’t have rats anymore. Or I want to get a rat out of the cage, give them a piece of food or say hello when I come home and then it hits me that they are gone. It’s like I feel the loss of all four of our rats at once and it’s so hard. I also am remembering all the good memories, but it’s bitter sweet right now as I have a hard time dealing with the loss of them. I am trying to sell the rat food we have left to someone else as that won’t stay good for years, but so far haven’t found anyone who wants the food yet. I offered it to a rattery nearby, but they didn’t want it as it wasn’t the right brand. I just want to make other rats happy with it as we have so much food left, but I don’t know anyone who has rats. The bedding we donated to my boyfriend parents as they have one rat and a parrot, their rat just doesn’t eat much normal rat food, so they didn’t want the food. It just feels off to suddenly not have any pets around. We decided to wait at least a year before we consider to take pets again. My boyfriend has one more year study to go and hopefully he can find a job after that. We’re not doing so good financially and this year is going to be hard probably, so we want to have a more stable footing before we buy new pets. And emotionally I could use a break as I don’t think I can handle anymore sadness or loss for while. Tuesday evening we lost internet and binge watched Star Wars for the rest of the evening, it was a welcome break even though part of me stressed a bit about not being able to work, I think I really needed an evening off. I didn’t got much reading done this week, we watched Star Wars The Clone Wars animated series most evenings as I couldn’t find the energy to read in the evenings. And I didn’t want to read in bed without the rats as it wouldn’t feel right. So the next few weeks might be a bit more empty on my blog. I am actually surprised I managed to read a whole book this week in my ipad, as I did keep reading during breakfast and dinner. It was a good book, exactly what I was in the mood for and I am now reading the second book in the series. On friday evening I finally staretd a new evening book. I also am not sure what to do with my random pictures section of the sunday post as I usually posted pictures of my rats, I hope I can come up with different things to photograph. My current idea is to focus more on products I buy, food and books. Saturday we visited my boyfriend his parents as it was his mom her birthday. We got a figure of an elf for her as she collects those. And we had ordered a spoon with her name engraved on it as that was an action Kellogs had here this year, where with 3 codes you could order engraved spoons. So we decided to order one for his mom. She seemed pretty happy with it. They gave me my birthday present in advance as my birthday is next tuesday, I got 4 different colouring books and lots of pencils, it’s pretty awesome. I will post pictures of it next week. I didn’t make much progress this week. I think I am at 18 books at the moment, so even though I had a pretty bad summer, I am still doing great with this challenge. I read Daemons in the Mist by Alicia Kat Vancil this week and I really enjoyed it, it’s a bit of a cliché type book about a boy who falls in love with a daemon, but very well written and it was just a lot of fun. I am now reading the second book. And I finally started reading Thor’s Serpent on friday evening, although I had to read in the living room on the couch as I wasn’t ready to read on the bed alone yet. Oh and I bought this for myself while grocery shopping. I love Treacle Moon their products and even though I still have an almost full bottle of Apple Pie smell left, I wanted another one. This one caught my attention with the pretty pink colour and I like the smell of strawberries, I hardly ever eat strawberries, but I like the smell. So I got this one. I really like this smell. Do they sell Treacle Moon products were you live? And if you tried one of their products, which is your favourite smell? Beside tea and water I hardly drink anything else. Maybe some fruit juice now and then or these Innocent smoothie drinks, but only when they are discounted. As then I can convince myself I have to buy them. This week they had a buy one, get one free discount so I snatched two of them. One Mango and passion fruit and the other this one, strawberry and banana. Seems like I was in a strawberry mood this week. 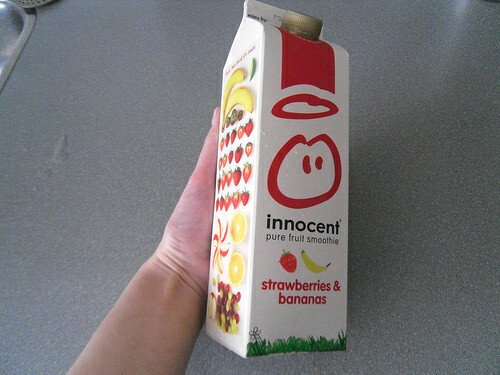 I love Innocent their smoothies as they are very yummy and taste like real fruit. Their packaging is also done well and on the side of each package they list which ingredients are inside them. Do they sell Innocent were you live? Have you ever tried one of their products? 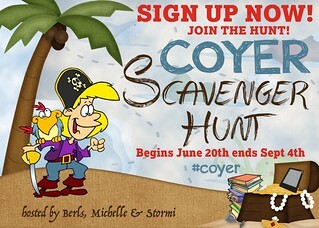 – Lola’s Ramblings: How do you Arrange Your Bookshelves? I’m so sorry you’ve had such a bad week but it’s going to take you time to grieve. You’ve had a huge loss over a very short space of time and I can promise you that it will get better. I’ve lost pets and know how awful it is. Treacle Moon looks fab! They don’t sell it here but I would buy it, I’m a sucker for nice scented shower gels. They do sell Innocent drinks here and I like them but don’t buy them very often. I prefer to make my own. Every day it get’s a little bit easier, but there are still moments when it’s hard. It’s awful to lose them, especially as they become such a big part of your life. That’s sad they don’t sell Treacle Moon over there, it’s a great brand. I am also a sucker for scented shower gells, although my skin doesn’t like them all, but my skin seems okay with this brand luckily. I like to buy the smoothies premade, I haven’t tried making them myself yet! Oh so sorry about your rat. *hugs* It sounds like you did need that day off to just relax a bit. It was a hard week. So it was nice to have some extra time to relax and do fun things, I really needed that. I already started one of my new weeks and will start the other one soon! I always love doing a star wars binge. I am so sorry to hear about your loss. *hugs and kisses*. I dont drink more than tea, water, a little juice and lemonade and green smoothies. I really love herbal tea, because its super healthy for you and such a good drink, especially in the colder months. Thanks! It’s been weird not having the rats around anymore. I drink herbal tea very rarely as I don’t like all flavours. I sometimes drink camille tea when I have a sore throat, but that’s about it. *BIG HUGS* I’m so sorry, Lola! It must feel very empty, and there really isn’t anything but time that will help you feel a little better. I haven’t heard of any of your new books, but I sure hope you’ll enjoy them! It’s getting a little bit easier every day, but it’s just so werid to have had them around for so long and then suddenly they are gone. It’s very empty in the house, both because of the cage being gone and because of their lively pressence not being here anymore. I am pretty excited about both new books I got this week. 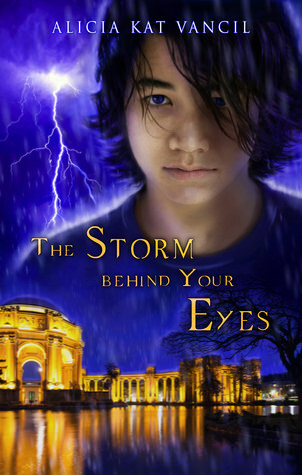 I already started reading The Storm Behind Your Eyes as I really enjoyed the first book. 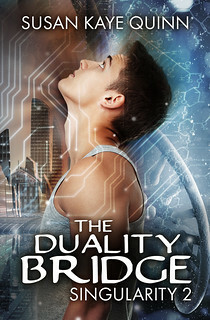 And I loved the first Singularity book, so I am hoping that The Duality Bridge will be just as good. So sorry about your rats. A lot of people can’t understand the love for a rodent, but they climb and snuggle just like a cat, I think. I hate that feeling of starting to talk to the animal and he’s not there. It makes me feel even more lonely. Hope you are able to get past that particular scenario soon. In their behavior you can compare them a bit with dogs and cats indeed, very active, curious and snuggly, especially once they get older. I got them out of their cage a lot to sit on my lap or snuggle in my shirt, they always read on the bed with me and cuddled up against me or ran all over the bed to explore. They are such awesome pets. We had quite a lot of those moments this week were we want to say hi to them or check the cage to see if someone wants out or making dinner and thinking the rats might want some corn and then realize they aren’t there, it feels so off and lonely. I love having pets, but the worry when they are sick or hurting and then losing them is so hard to deal with. It’s been a rough few weeks and I hope things start to get better after this as I could really use a good week for a chance. We sure have a few great years with our rats to look back upon. I don’t blame you for not reading or feeling like you don’t want to blog, my heartbreaks for you and your boyfriend. I love smelly lotions but I don’t think I ever heard of Treacle Moon I will look it up. Thanks! It helps to hear other people say I did good with them, I am always worrying there was more I could’ve done and now that they are gone I wish I could’ve spent even more time with them when they were here. It’s so hard to not have them here anymore. I am glad I finally got over my reading hurdle friday and started a new evening book, evening reading is always something I did with the rats, so I just couldn’t do that without them for a few days. And now I am reading on the couch now as I don’t want to sit alone in the bedroom. 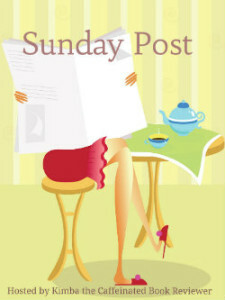 I hope I can back to full reading and blogging mode next week. I hope they sell Treacle Moon there in the US, their products smell so good! I hope I can try out all of their smells eventually. I am so sorry to hear about Snickers. Losing a pet is so hard. I am heartbroken for you. I am surprised you wrote anything this week. What a terrible thing for you after having 4 and now none. They were so loved and they had fans all over the world with you posting their pics and their antics. I was a fan, anyways. I don’t have any sort of advice for you. I still cry sometimes about my dog Zoe and it has been 4 years. Getting a new dog, completely different type, helped but the pain never goes away. I’m just so sorry for you guys. For me it helps to stay busy, so actually doing some blogging helped to keep my mind off other things. Or doign soemthing normal or something new or different, so I am not reminder of them. We also talked a lot about them and remembered their antics, which also helps, but that hurts as well. I don’t think the pain ever goes away, but it does get a bit more bearable with every day, but they will always have a piece of my heart. When we lost the first 3 it was a bit easier as we still had rats left, now it feels like we lost them all at once. That comment about them having fans all over the world made me smile, they sure touched a lot of hearts and I heard some people say they chanegd their opinion about pet rats due to my sharing pictures of them, so they certainly left a legacy. You absolutely changed my mind about them. The way you talked about them, and their pictures made me want one as a pet. I still might get one or two for my daughter, she is such an animal lover. Thanks! That makes me so happy to hear. So many people think they are gross animals, but they are such loving and sweet creatures. They are a joy to have around. If you ever get your daughter pet rats make sure to get two of them, that’s best for the rats so they have company in their cage as well. And two pet rats aren’t much more effort when it comes to cleaning or food than one. Thanks Keionda! I am so lucky to have met so many wonderfull friends here in the blogging community! I just hope I have more positive news to share next week as I feel like I only shared sadness and worrying in my sunday posts these last few weeks. What a terrible week. It feels like you have lost a member of your family in a way. It’s heartbreaking. You got some interesting books. Indeed it feels like we lost an important part of our family and it’s been hard. It’s been a good week when it comes to receiving new books as they are both books I am really excited about. It’s been getting a bit easier every day to remember the happy memories and feel a bit less sad, but it’s still bittersweet. It’s been a hard summer indeed and I will be glad when it’s over. Awe Lola, I am so sorry for your loss and know exactly what you mean about the living room feeling empty and heating noises. *hugs* I can only tell you that each day gets better and that you did the unselfish thing in letting Snickers go. I know it was the right thing to let her go, although I still wish we could’ve had a few more weeks with her. She was just suffering so much, we knew we had to let her go. Indeed it get’s a little bit easier each day and hopefully we’re slowly getting used to our empty living room. We’re so used to having them around, that it’s weird to not have them here anymore. Yes they always leave us too soon, I wish they could stay with us forever, even though I know that’s impossible. I hope the empty house feeling goes away soon or maybe we just have to hang something on the wall, because it’s so empty where the cage was supposed to be. And those sounds are weird, just a random crack or quiet sound and I immediately think it’s them as we’re so attuned to them and listening for signs of what they are doing. It will take some time getting used to it. I have loved reading about both Snickers and Smarties, so sending hugs I know how painful it is to lose a pet, they are a huge part of our lives. Tesco in the UK sell Treacle Moon, I love the Cinnamon one that is about during winter, it is bright red and smells divine, I have also tried the marshmallow one and the almond one too, both yum! I am glad to hear you enjoyed reading about them :). They were great pets and a big part of our lives these past few years. Yes we have the cinnamon one as well! Beside that we also have tried the ginger, the apple pie and now strawberry. I like them all so far. I don’t think I’ve seen the almond and marshmallow ones over here yet. I am so happy they sell Treacle Moon products in our local supermarket. Lola, my heart breaks for you. I don’t know how to express the sadness at losing your pets. It’s been two years since my little guy died. Like you, I heard him and I looked for him. I have let two years go by and I think I can handle another cat, but like you, financially it will be better if I wait. That is funny that you are trying to give the food away so it can be used by someone instead of just tossed in the rubbish, but no one wants it. Glad you had something nice like the double birthday dinner to end your week with some fun. Those coloring books sound amusing. It’s been so weird that at times it feels they are still there, before my mind kicks in and I realize it isn’t possible. It’s just so weird to have all these behaviors and such towards the rats and suddenly have all those habbits falls away. I think it will take awhile before we can handle taking a new pet, but we’ll make sure to at least be on more stable footing financially. It’s so frustrating, I want to make someone happy with the rat food and give it to other rats, but it’s hard finding someone who wants it. I’ll try put the food on fb next week, maybe friends of friends know someone with rats or else put an add in the grocery store (they have a board for things like that). I am hoping I can start on some of the new colouring books next week. Being out of the house for a day helped a bit and we had a nice day and spent some time sitting in their garden. Oh no, I’m so sorry to hear about Snickers. It’s so hard to lose them and since they have such short life spans we just don’t have them with us long enough. You were a good rat mommy and I know they appreciated everything you did for them. I know they had a good life with you and were happy and that’s all we can really hope for. I know it’s really hard and really painful right now but in time you’ll be able to look back on their pictures and smile like I do with all of the rats I’ve had over the past 15 years. So very sorry for your loss. Yeah it’s really sad they live so short. We lost all four of them in the past year or so and it’s just hard they don’t stay with us longer, but they are such amazing pets. Thanks! I agree giving them a good life is the best we can do, but I still wish I could’ve done more or kept them with me for longer. We have some great moments and I hope over time it will be easier to focus on that as on the pain. I’m a body/bath junkie, your strawberry haul looks good. I hope it doesn’t dry your skin? Thanks! I use Treacle Moon once every three days and it doesn’t dry my skin too much. My skin is pretty picky when it comes to soap, but my skin seems okay with this brand, although I still take care not to use it every day. Oh no. I am so so so sorry to hear about the loss of Snickers. Hugs to you. You’ve had such a rough summer with the rats and everything else. I wish I was there to give you a big hug and a shoulder to cry on. I’m so sorry to hear about your loss. Rest up and take care of yourself this week. Thanks! I am glad when this summer is over as it really has been a hard summer. It’s getting a bit easier to deal with the loss, but there are still moment when their loss really hits me. They were such awesome pets and I miss all of them so much. It’s just not the same without them around. I’ll try to make some pictures of local products/brand in the next few weeks as well. These were both products that I thought would be sold outside of the netherlands as well. I enjoyed showing off some of my purchases this week, so I think I’ll continue doing it and it’s been interesting to hear what other people buy and if they know the brand. I’m sorry about Snickers. I’m sure it was a hard decision but at least she isn’t suffering. I think it is good for you to wait at least a year so you can get some rest. I hope this week is better for you! It’s always a hard decision to make, unfortunately with rats it’s pretty common to have to make that deicion and sometimes it’s hard as you can’t ask them how much they are hurting or suffering, so you only have their behavior to base the decision on. We really need some time to process the loss of these rats before we’re ready for new pets. I’m so sorry to hear about Snickers. I think packing away the cages was probably the right thing to do. You won’t forget them but there won’t be a constant visual reminder. It does help to not have the cage here anymore, although it was a pretty big cage and the living room feels very empty without it. It’s better not to have the constant visual reminder. I hope you do enjoy your new books, and that this week will be much better than last week! Shannon @ It Starts At Midnight recently posted…The #ShatteringStigmas Conclusion: Recs, Thank yous, and Giveaways! Thanks Shannon! It’s nice to hear that. And I feel it’s good that we take a break from pets for a while, so we can recover from this loss first and when we’re more stable we can see if we take new pets. I am actually reading both of my new books at this moment and they are both pretty good. So far it’s a better week than the last and we’re more used to not havign the rats around, although it’s still weird. I love smoothies, but I don’t buy any, I make them. I started this summer and the whole family loves them. I use frozen bananas, almond milk (sometimes with coconut milk), ice cubes and various fruits. I put the result in a bottle in the fridge, but it never lasts long ! There are still moment I can’t fully believe they are gone and then the empty place of the cage or the lonely ness hits me and it’s hard, but I am doing better a bit every day. I know it’s the right decision not to take pets for a while although it makes me sad too as I love having pets around. So sorry about Snickers. Losing a pet is so hard. I’m glad you were able to be there and hold her. Hope your next week is better. I am glad I was able to hold her, it’s a nice way to say goodbye and hold them while they pass. I’m very sorry to hear about Snickers, Lola. I know it’s hard losing pets and it must be doubly so to lose them all so close together. It’s wonderful that you’re trying to improve other rats’ lives by sharing the food and supplies you have. At least something good can come from your loss. That should make you feel a bit better. And I think it’s a good idea to wait on getting more pets. After we lost our dog, we waited several years before venturing into pet ownership again. Losign them so close together certainly made it harder, we only were just getting used to only having one. And I feel the loss of the first two rats we lost more now as well. I am hoping we can find someone who wants the food as I want to make sure other rats can enjoy it. I think it will be a while before we’re ready for new pets. I am glad to hear you’re doing well and keep yourself busy! It must be hard to not have them around as much as you’re used to.